The Council of the University of Guyana (UG) today announced that Professor Ivelaw Lloyd Griffith has accepted its offer to become Principal and Vice-Chancellor. 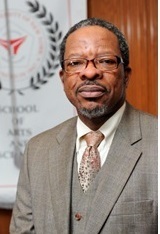 A release from UG said that Professor Griffith was selected after an exhaustive national, regional and international search, short listing of three candidates and evaluation based on a series of lectures, the candidates’ credentials and an interview by the Search Committee appointed by Council. Professor Griffith will assume office as Vice-Chancellor on June 14, 2016.